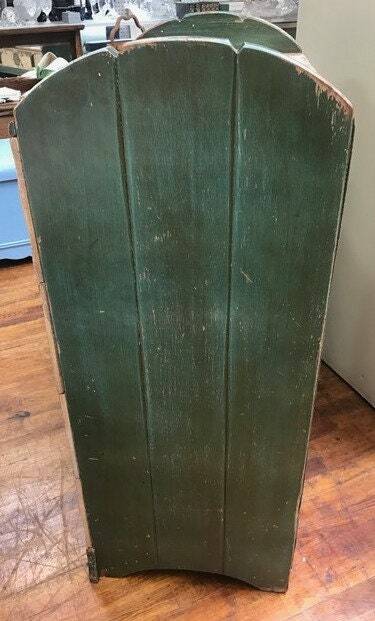 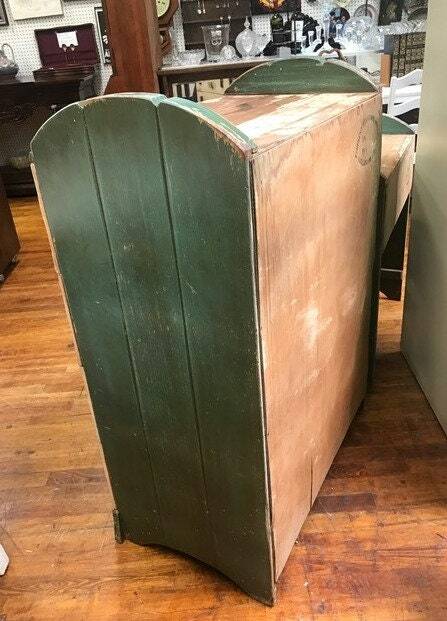 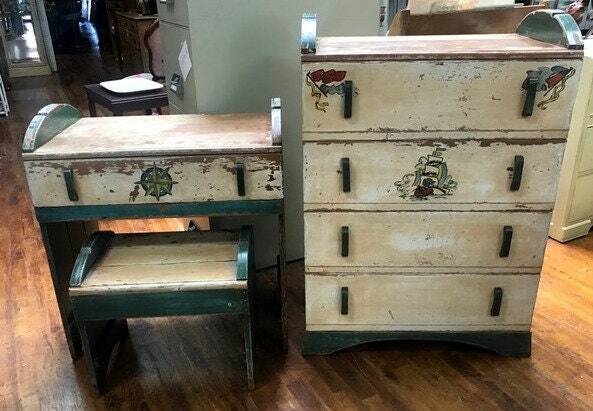 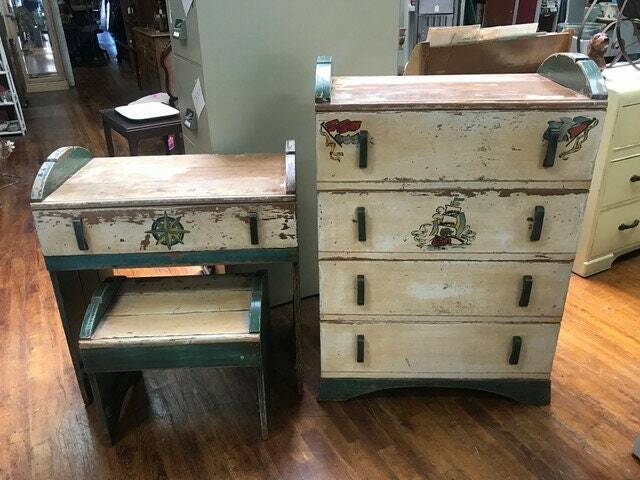 Vintage shabby chic dresser, desk and stool. 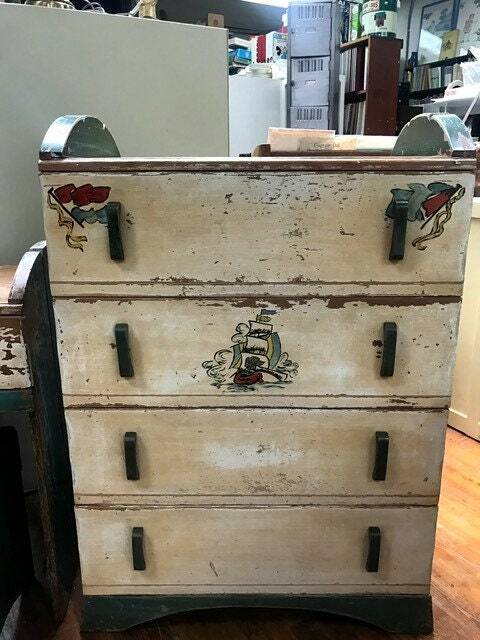 The dresser has four big drawers, wood handles and rails, very sturdy and original shabby chic. 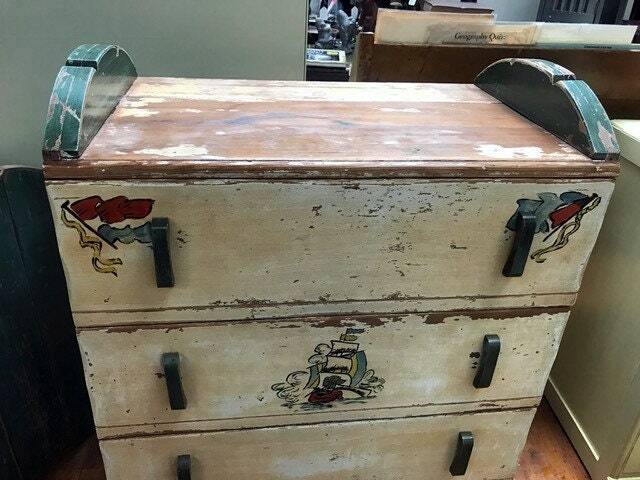 Hand painted ship design, perfect for a boy's bedroom, 29 x 17 x 40", matching desk with one drawer and bench, 29 x 17 x 29".